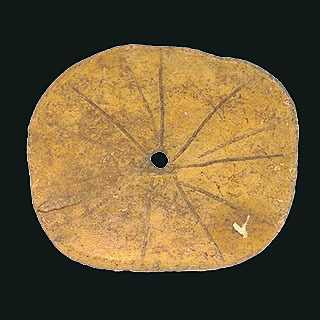 This room presents approximately 200 Dorset culture carvings in a gallery setting, designed to allow visitors to appreciate the skill and artistic genius that flourished throughout the Arctic for several thousand years. The objects are exhibited in an octagonal array of cases and organized by the subjects they represent: humans, bears, other animals, amulets, and magical objects. One of the carvings is also exhibited as an electronic image obtained by a laser-scanning technique developed and provided by the National Research Council of Canada. The skeletal motif and de-fleshed form are clearly visible in this representation of a flying or floating spirit-bear. On one wall of the gallery, a lighting effect depicts the halos and sun dogs that are a striking feature of the Arctic sky. 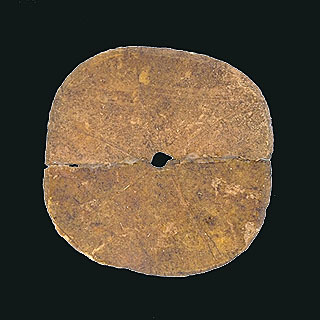 A small adjacent case displays an array of small disk-shaped objects carved from bone, often divided into eight, or sometimes sixteen, segments. 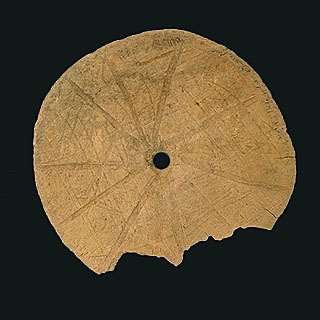 Similar disks were used by other northern peoples; some have interpreted these objects as celestial or cosmological symbols. 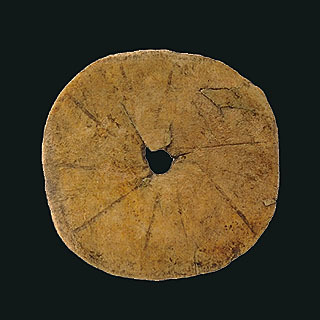 The arrangement of cases in this gallery, and indeed the plan of the entire exhibit, are derived from the form of these small and enigmatic disks.